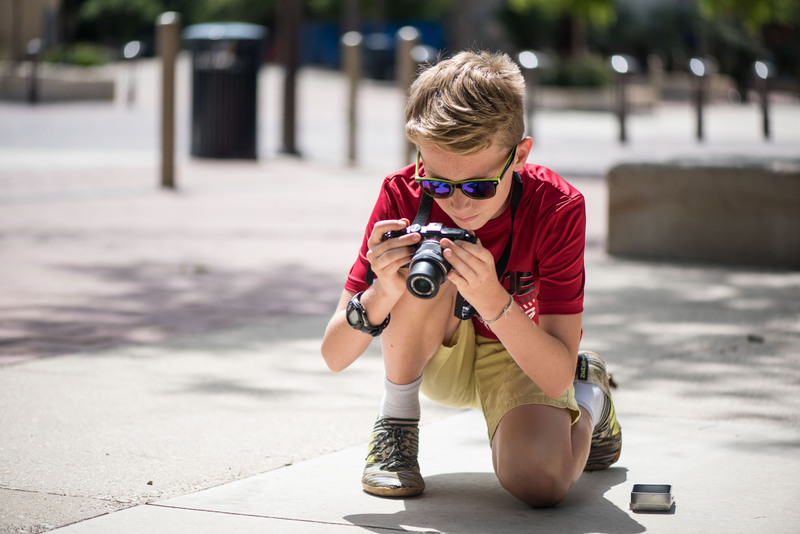 Photography + Video Camp is a fun introduction to digital imaging. Kids enthralled by images, excited by technology, and eager to CREATE will love this week long camp. Hosted at Hemisfair, and programmed by Bridge Projects. -Capture short stories appropriate for publishing on youtube (publishing is left to the parent’s discretion). -Printing photographs and making them into kites to see your creations soar! -Hot afternoon spent playing in Hemisfair’s famous splash pad! The Instructors: Bridge Camp is directed by Cade Bradshaw, an artist and summer camp veteran! Our Bridge Staff are the best and brightest – and include certified teachers, scientists, artists, and parents! The Idea: Learn photographic tools plus visual and verbal communication skills. Every student will leave camp with at least 1 printed photograph, a photo kite, and a digital video, plus the confidence to start new projects on their own. More than a ready-made project (and free of popsicle sticks or glitter) Photography + Video Camp is fun, useful, and confidence building! -Campers will pack their own lunch and snacks. -A portion of the proceeds benefit Hemisfair! -Kids may bring their own camera (or even a smart phone), but it is not required. Register First! After care is purchased daily. The 1 Week of Photography + Video Camp ticket is sold out. You can try another ticket or another date.